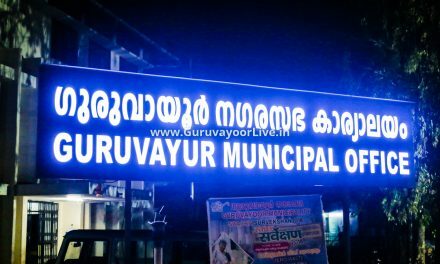 Guruvayurappan (Malayalam: ഗുരുവായൂരപ്പന്‍, (transliterated guruvāyūrappan))(Guruvayoor Krishna) also often written Guruvayoorappan, is a form of Vishnu worshipped mainly in Kerala. 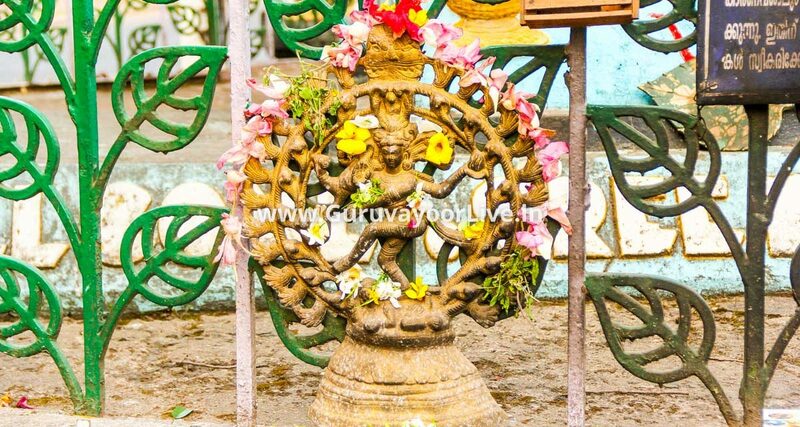 He is the presiding deity of Guruvayur temple, who is being worshiped as Shri Krishna in His child form, popularly known as Guruvayur Unnikkannan (Guruvayur baby Krishna). Even though the deity is that of chatur bahu (four-handed) Vishnu, the concept (Sankalpam) of the people is that the deity is the infant form of Lord Krishna. The deity represents the purna rupa (full manifestation) revealed by baby Krishna to His parents immediately after His advent in Kamsa’s jail. Lord Krishna immediately after his birth had revealed Himself as four-armed standing Vishnu in front of His parents Devaki and Vasudeva. So this is the reason why baby Krishna is worshipped on a Vishnu deity. 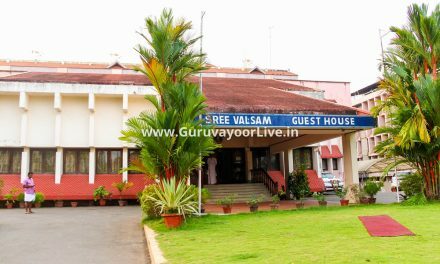 The temple is located in the town of Guruvayur, Thrissur district, Kerala, India.